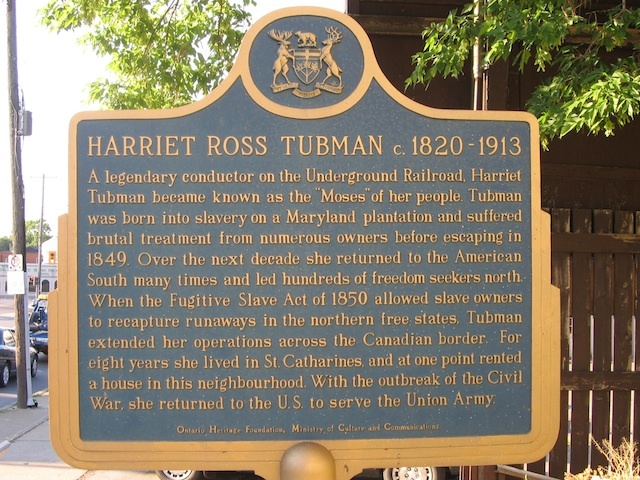 A legendary conductor on the Underground Railroad, Harriet Tubman became known as the "Moses" of her people. Tubman was born into slavery on a Maryland plantation and suffered brutal treatment from numerous owners before escaping in 1849. 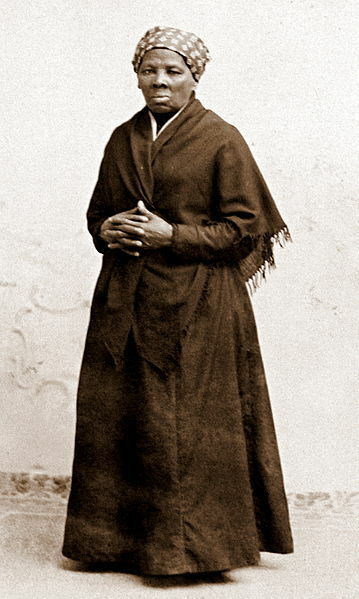 Over the next decade she returned to the American South many times and led hundreds of freedom seekers north. 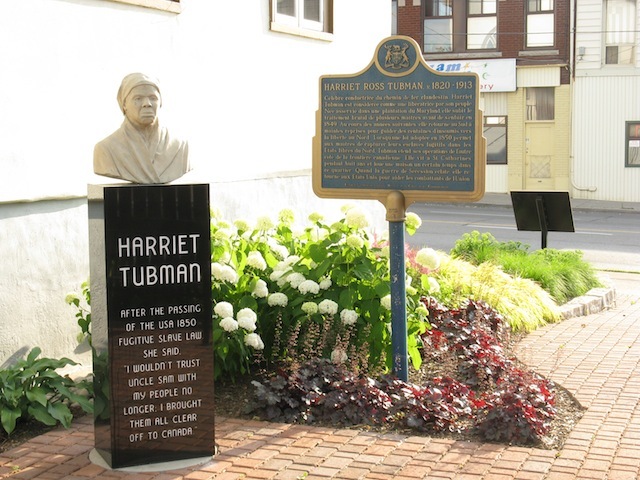 When the Fugitive Slave Act of 1850 allowed slave owners to recapture runaways in the northern free states, Tubman extended her operations across the Canadian border. 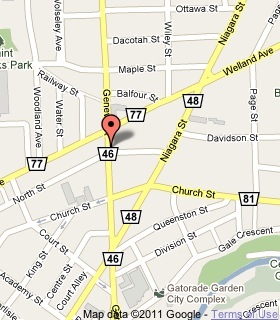 For eight years she lived in St. Catharines, and at one point rented a house in this neighbourhood. With the outbreak of the Civil War, she returned to the U.S. to serve the Union Army.